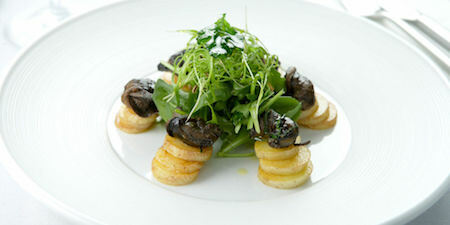 Every Tuesday evening 63 Degrees offer a Tasting Menu for just £25 per head. 63 Degrees Manchester, 104 High Street, Manchester, M4 1HQ. Every Tuesday evening 63 Degrees offer a Tasting Menu for just £25 per head, which includes five of their most popular dishes from the a la carte menu. 63 Degrees is a unique setting in which to experience the very best of French cuisine. After living in Manchester for more than a year, Alexandre Moreau convinced his father and Head Chef, Eric Moreau, to move from Paris and share their love of good food with their adopted city. The family ran restaurant, where the food is an expression of modern French cuisine, uses only locally sourced, fresh ingredients, and offers cooking that is designed to delight the senses and convey a whole new world of taste. Eric Moreau cooks delicious meals that will astound your taste buds, whilst Alexandre oversees the Front of House.